The CBD's Gazi is serving up Greek-inspired yum cha until the end of summer. 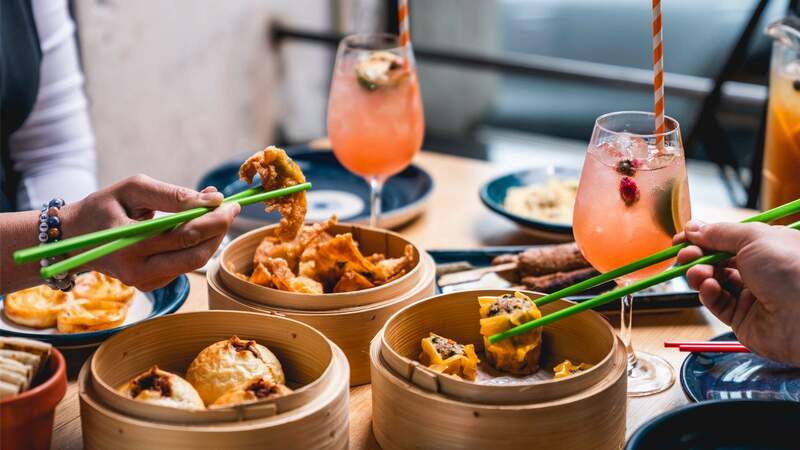 Just when you thought Melbourne had seen just about every variation of yum cha and high tea imaginable, Gazi throws something entirely fresh into the mix: a series of weekly Greek yum cha feasts. Leaning into the CBD eatery's Hellenic roots, while also staying true to those classic yum cha stylings, the Sunday lunches will see diners tucking into a parade of Greek-Asian dishes. With the kitchen firing from noon until 3pm each Sunday, you can enjoy all ten of the new menu items for $49 per person. Expect innovative fusion bites, like spanakopita gyoza, feta spring rolls with honey and sesame, and a lamb-filled char-tsoureki (Greek sweet bread) that nods to the classic Chinese pork bun. Those looking to make a Sunday session of it can add on three hours of bottomless cocktails for an extra $35 per person. We're talking summery sips like the Oolong Island Iced Tea — featuring black tapioca pearls and a 'cola' whipped up from oolong tea, muscovado and lime — and San-Grecian a concoction of Greek white wine, peach, strawberry, lemon and rose.